Between moving, packing and shipping and runs to the warehouse club stores, cardboard boxes tend to accumulate. You can bring new life to the old boxes lying around your home when you reuse cardboard boxes to help your garden flourish. The shape and material of cardboard boxes make them handy around the homestead. 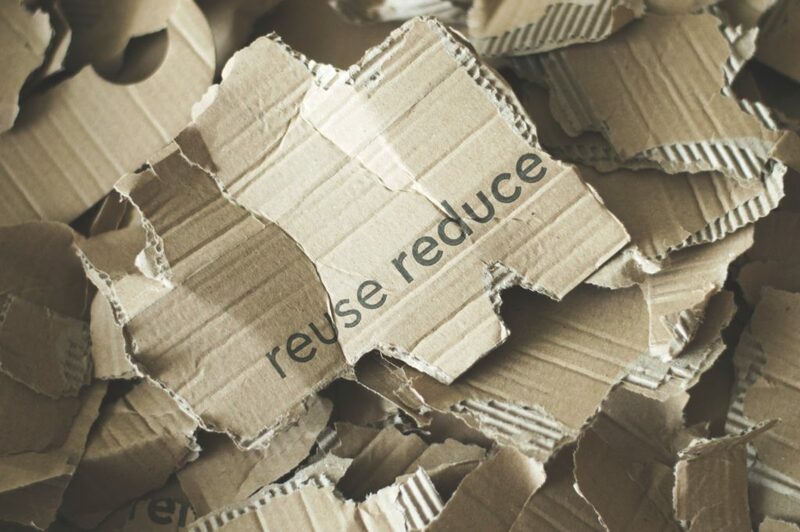 Here are three easy ways to reuse cardboard boxes in your garden. Cardboard boxes are well-suited for container gardening. Simply apply tape to the seams of your leftover boxes, poke a few drainage holes, add a plastic lining and growing medium and introduce your plants to their new home. Check out this DIY from SF Gate that breaks the process down into simple steps. Add this to the list of things you might not have known you can compost. Though waxed and laminated material is more difficult to compost, most any kind of shredded cardboard can be added to your compost pile as brown material. If you don’t have a shredder, tearing your boxes into tiny pieces will do, just soak the chunks in a little bit of water and liquid detergent to speed the process along. This guide from Gardening Know How will tell you everything you need to know about composting your cardboard boxes. Many gardeners will use plastic tarps to protect your weeds. Reduce the use of plastic by using cardboard instead. Unfold your boxes and place the flat pieces of cardboard on your weed-prone area. Douse them with water and top the cardboard sheets with a heavier material like soil or mulch to camouflage it and keep it in place. Today’s Homeowner breaks the process down for you with simple steps and a short video.